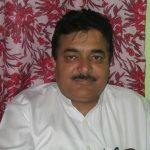 Darvesh Mohd. Ishaq Sahib The Late Mohd.Ishaq Bazdar son of Anwar Joo Bazdar Alis Anwar Chowkidar was one of the most popular Darvesh of J&K State .He was Commonly known as Darvesh Ishaq Sahib.His Kashmiri Poetry Was apprecieted by the people and he himself participated in many poetic symposias organised by the radio ,TV and other literary organizations.Ishaq shaib was a handicapped and thus a parasite but his spiritual powers gave him much respect and he was famous even at the national level.Whereever he sat people encircled him and sought his blessings.Ishaq Shib used to sit in a chair amid of the big crowds.It was not usually possible for a common man to see him on short notice.His behavior toward the visitors was a quite well and people used to visit Kishtwar,Pooch or Kashmir whereever he stayed .Malik Manzil Kishtwar was the place where from he rose to prominence.He used to spend his money on food and cloth of orphans anad poverty stricken persons.His Kharat were examplary.He contributed a lot for renovation and construction of shrines and Mosques.In his capacity as a chairmanAnjuman-e-Islamia Ishaq shib made solid contrubition and ably run the Islamia Faridia School over a long period He was also a founder member of Gulistan -e-eAdab Kishtwar. 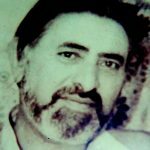 He died on 29 june 1999 at Batra hospital New Delhi His dead body brought to kishtwar was buried in front of Malik Manzil Graveyard The collection of his Kashmiri poetry is being shorty published. 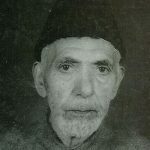 Kawaja Ghulam Rasool Kamgar was born in Kishtwar,Jammu & Kashmir in 1888.He received his education in persian,Arabic,Urdu,and Mathematics from Maulana Saifullah who also initiated him to writing both prose and poetry.He has made valuable contribution to Kashmiri literature through his scholarly persuits by introducting in it flavour of classical writing of Arabic and Persian. HAZARAT FARID-UD-DIN (rh), along with 4000 individuals and glorified that part of land (kishtwar).He was empowered to decide the religious cases and to impart justice . 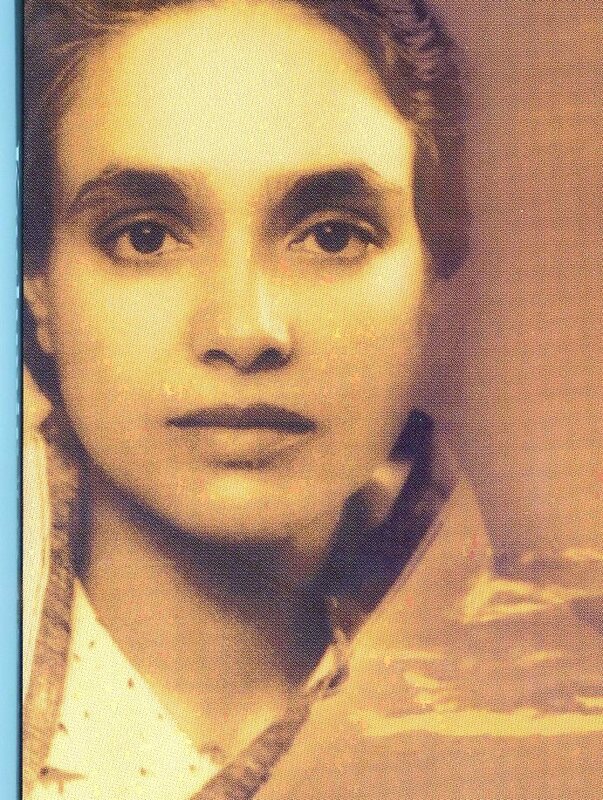 Moreover, ZAIB-UN-NISSA BEGUM , the only daughter of SYED BAHAW-UD-DIN SAMANI , who is the foster sister of SYED SHAH ASRAR-UD-DIN (rh) was married in compliance to the order and advice of SYED SHAH FARID-UD-DIN (rh) to HAFIZ QASIM son of HAFIZ GAYAS-UD-DIN AKBARABADI , who also stayed in new Delhi and shifted to kishtwar( during that time )in compliance and who, in compliance to the directions of emprorer has been imparting religious educations in new Delhi and was positioned at various important officials’ positions at Delhi and accompanied HAZARAT SHAH FARID-UD-DIN BAGDADI(rh) and his family, along 4000 others including nobles, servants etc., at kishtwar, who have started living in kishtwar . HAFIZ ABUL QASIM has been the tutor of HAZARAT SHAH ASRAR-UD-DIN (rh) and was appointed supreme QAZI-UL-QAZAAT of kishtwar. Kishtwar became the center of propagation of Islam in district doda. Kishtwar was called the ‘second Baghdad ‘ for the efforts of SHAH FARID-UD-DIN BAGHDADI (rh) . A poet has written :- ” second Baghdad or heaven on earth or kishtwar. The refreshing Chowgan is here like the heaven ” … the KHANDAN-E-QASIMIYA … is presently the sajjad-a-nasheen of DARGAH ASRARIA kishtwar Introduction to the present KHANDAN-E-QASIMIYA… , which is residing in kishtwar and looking after DARGAH ASRARIA :- PEER GHULAM MOHI-UD-DIN MOHI , son of HAZARAT ZIA-UD-DIN ZIAIE was a sajjada nasheen of dargah ASRARIA kishtwar. ZIA -UD-DIN ZIAIE, was a famous Hakeem and a poet and a popular historian. he wrote many books including one of the famous “ROZA-TUL-ARFEEN” in Persian and “KULIYAT-E-ZIAIE”. Some references were taken by this book by an English historian HITICHSON. Also by HASMAT-UL-LAH KHAN who wrote history of J&K, KALHAN who wrote “RAJ TARANGNI”and ISHRAT KASHMIRI who wrote “TAREEKH-E-KISHTWAR”, SYED NAJM-UD-DIN who wrote “GULSHAN ASRAR” using references by this book only. His son GH. MOHI-UD-DIN MOHI was a spiritual Hakeem and had written many books like ” KULIYAT-E-MOHI” etc. 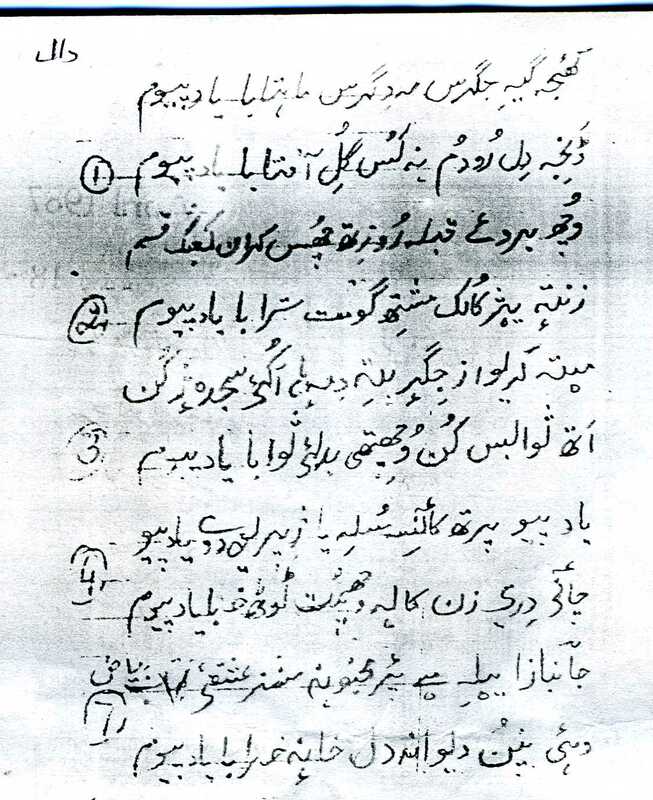 and was a famous poet , he wrote naats , mankabats and songs in local language (kishtwari , Urdu, Persian and Kashmiri ). 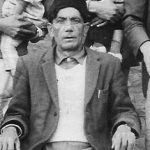 SYED SHAH SAHIB was a famous Hakeem .He served the people of kishtwar without any greed , cast or creed, and religion especially erstwhile doda district. HAKEEM TAYAB SHAH SAHIB was a renowned spiritual leader and had served people without any personal cause. 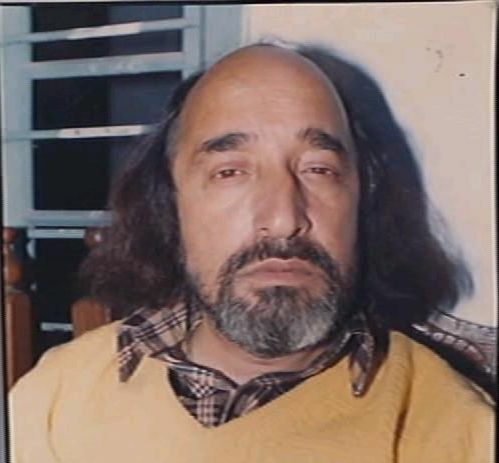 PEER PERVEZE KISHTWARI (famous poet). HAKEEM WAZIR-UD-DIN SAHIB was a famous UNANI Hakeem and a renowned social worker. He used to serve and cure people , especially poor people of far flung areas without any personal cause. 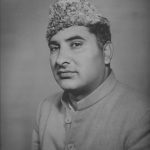 PEER NIZAM-UD-DIN was a famous social worker and was MLA kishtwar from congress party in the years( 1972-1977), when SYED MIR QASIM was the CM of J&K.He provided people of kishtwar with employment which till date seems impossible for other people. The people of ever religion and gender were benifitted during his tenure without any cast, creed or religion . PEER IQBAL SAHIB was a known BDO and was good at public speaking . He used to write speeches. LATE PEER KOUSAR SAHIB was a govt. contractor and a well known social worker of kistwar. He was elected as legislative member of council in 1957 as well as in 1959. He was the first member to bring upon situations held in Kishtwar in the council, which resulted in many job opportunities for the people of Kishtwar. 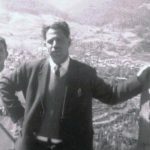 In 1962, he became the Director General of J&K Corporative Bank. He was also the working committee member of Bharat Sewak Sangh, Panchayti Raj Committee, Red Industries Board and Constitute Club New Delhi. In 1964, he joined Indian national congress and in the same year, he became the Member of Parliament. In parliament he was the member of public accounts committee from 1966 to 1968. In 1970, he was given the ministerial rank in the union and in 1971 he became minister of aviation and transport where as in 1973 Department of Development was added to his ministry. During his ministerial tenure, he was given the opportunity to become India’s most honored minister. He served home minister from 1974 to 1977. Om Mehta traveled many countries and proved to be an intelligent ambassador of the country. He agreed to become an advisory chairperson of Indian Institute of Public Administration in municipal administration training and research center. His contribution for the development of District Doda is fabulous. 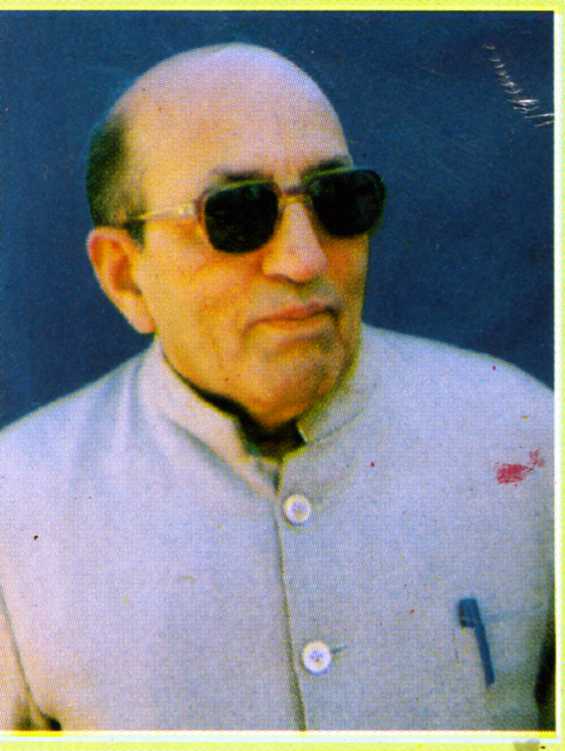 Dul hasti hydroelectric power, Batote Kishtwar national highway, Kishtwar manali boarder road, Kishtwar water supply, and Bhadarwah Chamba road are few examples of his many developmental works that were not possible without him being in the assembly. 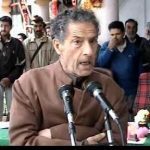 Om Mehta is one among the very few personalities of Kishtwar who served their entire life in serving and revolutionizing Kishtwar that can never be forgotten by Kishtwari people. His work in the congress has always been outstanding. Mrs. Indira Gandhi was so impressed by his work and smartness that she used to sign his suggested governmental projects without any hesitation. He was then prime minister’s most trust worthy worker. Because he had such a great techniques to accomplish a lot in such a short span of time, he was given the task to solve the most difficult problems in India. With the result of increasing workload Om ji’s health starting deteriorating and passed away on February 12, 1995. 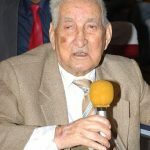 Born on June 4, 1913 in Mehta family of Kishtwar in Jammu and Kashmir, Krishana was married to Duni Chand Gupta of the same locality who later on became Wazir-e-Wazarat ( Deputy Commissioner) of Muzaffarabad, which now is in PoK. However, destiny had other plans. When India got freedom, Duni Chand was killed in violence thereby making Krishna as an unfortunate widow taking refuge in the refugee camps along with her children. But instead of losing in self pity the great lady took up the task of rehabilitation of other women and children suffering in the camps. 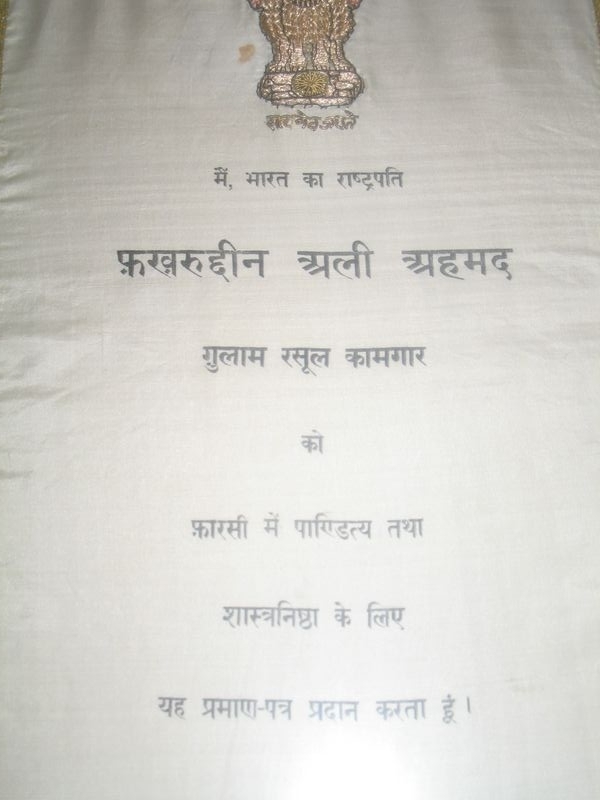 It was in Kurukheshtra that Krishna Mehta came in contact with Pandit Jawahar Lal Nehru, then Prime Minister of India. Realizing Krishna’s tremendous will power and her commitment towards human cause, Nehru invited her to Delhi and made her as his sister. This was an important event that led Krishna on to greater purpose of life. With PM’s support, Krishna Mehta established Gandhi Sewa Sadan and Khadi Gram Udyog Sangh dedicated to the economic development of women particularly in Jammu and Kashmir. Today, Gandhi Sewa Sadan has over sixty branches across the State and a couple of them are in the Union capital. Krishna was not just a social worker; she was worker with vision and commitment. She had a personal experience of suffering out of which was born the zeal to work hard for the alleviation of poverty. It was in fact her need to do something positive to help those who needed help. Realizing that the process of social work demanded coordinated action of several fields, Krishna Mehta joined active politics and was made Rajya Sabha member from the State. This way she achieved distinction to become the first woman MP from Jammu and Kashmir. This cold have been a life time achievement for any body else, but for Krishna Mehta it was only a means towards a more practical end- the development of her native place. Krishna Mehta, thus was instrumental in bringing Indira Gandhi then PM to Kishtwar thereby acquainting her with the problems of Kishtwar. Krishna Mehta had an innate urge for spiritual life. In 1972, she met Baba Magan a Gujrati Saint of great reverence and made him her Guru (spiritual mentor) and remained in his Ashram for ten years living a perfect life of renunciation. Krishna Mehta traveled intensively both in and outside the country. She wrote many articles especially on Pandit Nehru. She also wrote a book on the crisis in Kashmir. Krishna Mehta lived a useful, inspiring and satisfied life. She passed away on October 20, 1993 at the age of 80. As she wished, her ashes were immersed in Chanderbhaga (Chinab) near Kishtwar town in whose heart beats life and works of Krishna Mehta quietly but surely live on. Bari Mushkil Se Hota Hai Chaman Main Deedawar Paida! 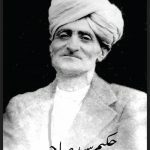 Haji Bashir Ahmad Kichloo was bron on April 13,1937 he was the only son among the five childern of Haji Ghulam Mohammed Kichloo,a general merchat and prominent social figure of Kishtwar weiding a considerable infulence among the people.After his Matriculation,he could not hold his family business and joined Forest department as a forester in 1954.He joined Plebisicite Front in 1958 after quitting government job He remained unquestioned leader of Plebiscite Front of his zone till its conversion into National Conference in 1975.He was jailed several times and spent more than six years in jail. 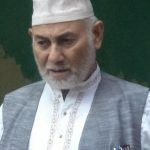 In 1975 he became District President of National Conference.He Contested assembly election from Kishtwar in 1977 and joined Council of Ministrs as Depty Minister,He Relinquised the ministry after death of Sheikh Abdullah in sep.1982 and was nominated as senior Vice President of National Conference.He was defeatef in 1983 AssemblyElection byShri Ghulam Hussain ArmanOf Congress Party but againg won in 1987.He joined Farooq Abdullah’s government as a Cabinet Minister till 1990 In his capacity as a Chairman Auqaf Islamia Kishtwar and Presedent Anjuman Kishtwar,He Made significent contribution in the form of construction of grand complexes and upgradion of old Islamia Faradia High School to Islamia Faridia Educational and Research Institute with 10+2 school for boys and girls and poteltail for starting a College of Education.He was reported crying like a chiild while witnessing the fire incident of Jamia Masjid Kishtwar.Without Caring for his deteriorating health he did not only get the new plan for construction of three storeyed mosque finished but also started construction on war footing.it was his cherished desire to see the new mosque before his death but time and tide wait for none. 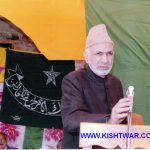 He met Sher-e-Kashmir Sheikh Mohammad Abdullah in the year 1958, and was inspired by his farsightedness and secular Ideology .At the age of twenty; he started his carrier as the District secretary of plebiscite front. subscuently he was elected as District President Of Doda District and then the state level member of the same movement .As the movement was in full swing, he put behind the bars and remained their for time to time from 1958 to 1975.During jail yatra he passed these years in Badeharwah, Kud, Jammu and Srinagar jails. In mean time Kashmir politics has taken a tremendous change and Plebiscite was converted as a National Conference. 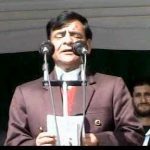 And thus, in the year 1977, he took part in election against the mandate of National Conference and got elected as M.L.A Kishtwar Constituency .while faming Ministry by the leader of N.C Sheikh Mohammad Abdullah, He allocated the port folio of Deputy Minister for Works and Protocal.He continued the port folio till 1983.When he was elected as senior Vice President of National Conference Jammu and Kashmir. In the year1981 an agitation has been launched by Public of Kishtwar under the banner of Kishtwar Public front for sanction college and granting of district status to Kishtwar .This agitation has been started by Mr.G.H.Arman and continued for about two years against the regime of National Conference. Resulting Arman Sahib was successfully contested election against the ticket of Congress and Mr.B.A.Kitchloo lost his seat by the margin of 275 votes. 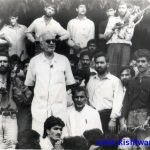 And again Mr.Kitchloo context the election against Mr. Arman and declared winner by the record margin of 17000 votes in the year 1987 and was allotted the port folio of cabinet minister for forest in the regime of Dr Farooq Abdullah. 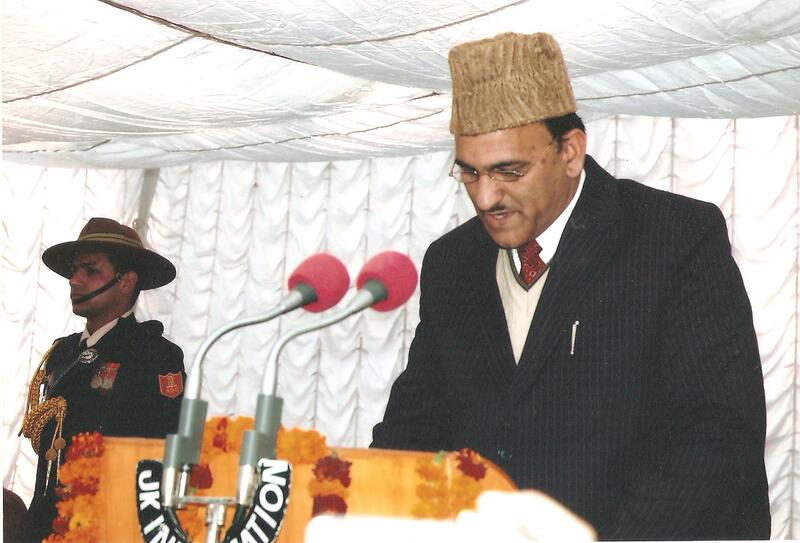 continuing his services for his party, he was elected as General Secretary of National Conference Jammu and Kashmir in the year 1991 .when in the year 1996 the election was held in Jammu and Kashmir he was again elected as M.L.A Kishtwar and got the rank of cabinet minister as Food and Supplies and Transport, Haj and Auqaf and social Welfare. During his incumbency as cabinet minister in the regime of Dr Farooq Abdullah, He suddenly developed thought cancer which becomes cause of his untimely death on 26.08.2006 at Apollo Hospital New Delhi. 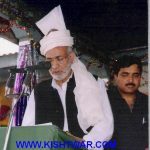 The people of Kishtwar to remember him for his heroic deeds like social works which he did in his life which he did in his life time, especially when he started rebuilding of structure for Anjuman Islamia which is the cause of opening of new era in the field of education in the form of Islamia Faridya Education and Research Institute Kishtwar on the one hand and on the other hand he extended his help to Adharsh Balnikaten High School Kishtwar for providing of funds for raising infrastructure .He also contributed of SDH Kishtwar and promotion of building activities in Degree college Kishtwar.It is due to his efforts that science classes were started during the year 2001-02 at Kishtwar despite non availability of structural accommodation .But he manage to accommodate science classes in the premises of Islamia Faridya School for two years as a good will gesture .he was also the chairman of Auqaf Islamia Kishtwar.by his untimely death he left some works unfinished for being followed by his sons Tanver Ahmed and Sajad Ahmed who were follow the foot steps of his father. 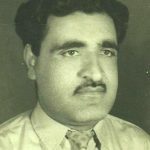 Mr. G.A.Tak was born on 5th November, 1918, to Mr. Ghulam Mustafa and Mrs. Zeenat Begum. His father was a mail overseer in the post & telegraph department and died at a young age of 39 years on 22nd October 1922, when G.A.Tak, his fourth son was just four years old. 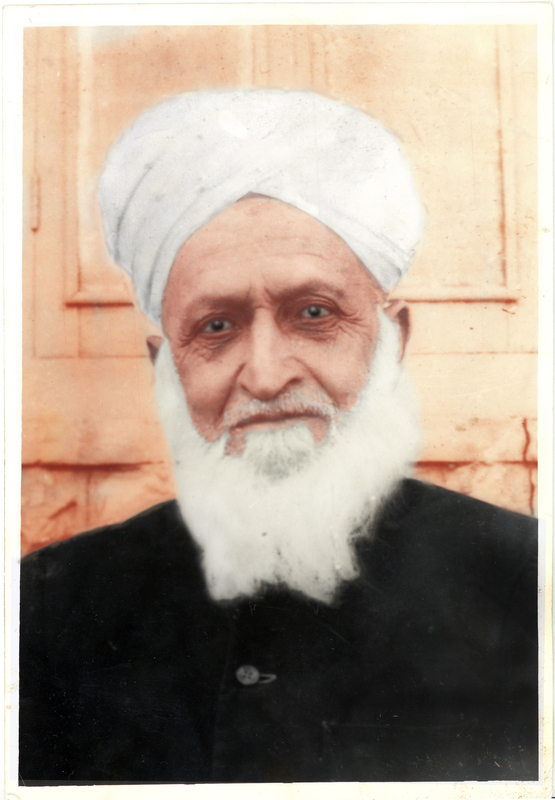 He joined Islamia Primary School, Kishtwar in 1924 and did his primary education there and then joined Government High School Kishtwar and passed his matriculation examination from the Punjab University, Lahore, with examination centre at Jammu, in the year 1935. He graduated from the Prince of Wales College, Jammu (now known as G.G.M. Science College) in the year 1939. 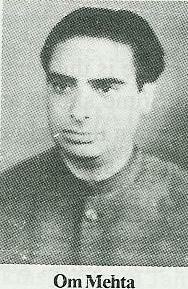 After graduation he joined Aligarh Muslim University and did his M.A in history and L.L.B; (Law) in the year 1941. 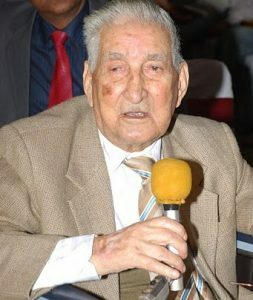 He was enrolled as a pleader by the high court of Jammu & Kashmir on September, 1941. He got married to Iqbal Begum in the year 1943. He started his law practice from Kishtwar and became very popular and successful. During those days Munsif Magistrate’s court at Kishtwar used to function in Doda for six months in winter. It was only due to strenuous efforts Judge Sahib that Munsee’s court was permanently stationed at Kishtwar. 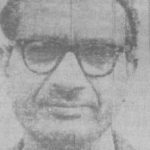 He was appointed as Munsiff (sub-registrar) Jammu on 3rd February 1950. 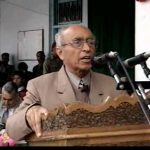 After two months he was transferred to Poonch and thereafter served as Munsiff Ramnagar, Jammu; and Handwara, Kashmir, in 1952, where he had to establish the Munsiff’s court for the first time. Thereafter served as Munsiff Kishtwar, Shopian and Srinagar. He was promoted as sub-judge on 9th of December 1956 and joined at Poonch on 5th January, 1957. He was transferred to Kathua as sub-judge / Additional District Magistrate (ADM) and there-from to Bhaderwah. After more than three years he was transferred and posted as special mobile magistrate, Jammu. Thereafter, he was posted as Sub-judge/ADM, Jammu. He was promoted as District & Sessions judge and posted at Anantnag. 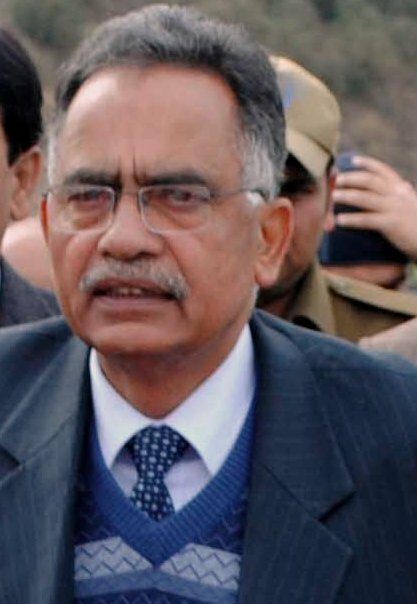 He also served as Vigilance Commissioner Judicial Jammu & Kashmir and then as sessions judge Kathua and sessions judge Poonch. From there he was transferred and posted as District Judge Jammu. 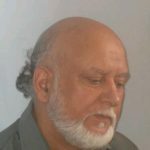 Lastly, he was appointed as Registrar, High court of J&K wherefrom, he retired on the 5th November, 1973 he was reemployed as a member Anti-Corruption Tribunal in the year 1979 for three years up to March 31, 1982. 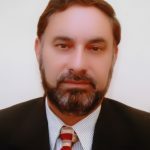 He also served as main instructor in “Judicial officers training institute” which was inaugurated by the then Chief Justice Syed Murtaza Fazal Ali for imparting practical training to serving judicial officers of the state. On the valedictory function, the address was delivered by him extempore which was attended by the then governor, Bhagwan Sahay and finance minister Mr. Gridhari Lal Dogra. During his tenure as Judge, he delivered some historical judgments which were appreciated by the legal fraternity and the public at large He has always been realistic of the fact that life is temporary and, therefore never acquired any property and lived all his life in a rented house. His belief in philosophy of life is that ‘there is everything in this world for one’s need but there is nothing in this world for one’s greed’. His 92nd birthday was celebrated by his grand children and great grand children on the 5th November, 2010, in hotel Savoy, Jammu, in a grand manner and all the family members as well as members of the extended family warmly participated in the celebration. 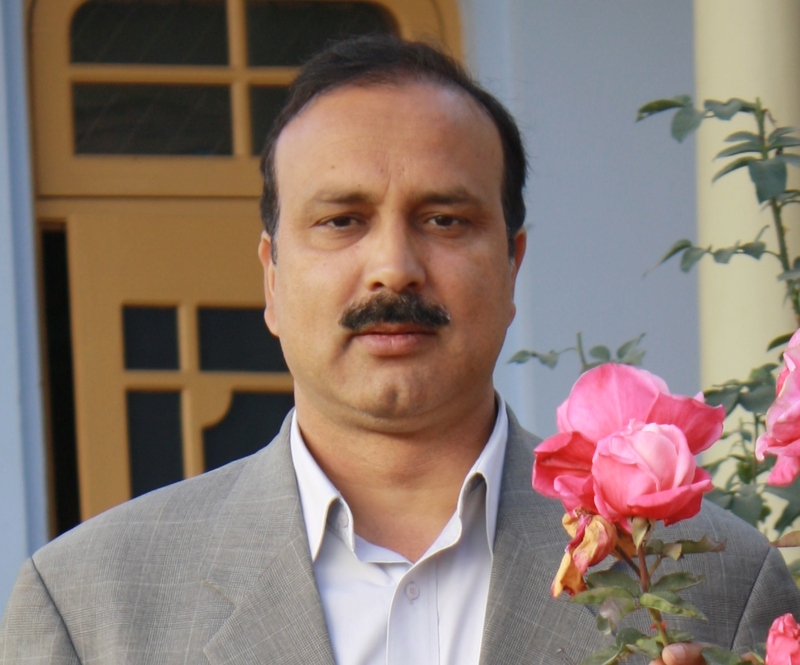 Mr. Sajjad Ahmed Kichloo MLA, was born on 20th of June, 1964 in Kishtwar. He started his political career in 1996 and was elected as Tehsil President Youth NC. Leter he was elected as District President Youth NC in 1998 and continues this status till date. 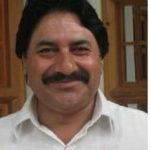 After the death of his father, he was given mandate by NC party for contesting the Assembly Election from 51 Assembly Segment Kishwar in 2002, which he won by 16725 votes defeating his rival INC candidate Mr. Ghulam Haider Sheikh by a margin of 1663 votes . He also won 2008 Assembly election from Kishtwar. With his efforts for the state he added around 3000km within a year & around 105 complete bridges in 2009-2010. Under PMGSY (Prime Minister Gram Sadak Yojna) 461 Habitations have been connected. During the year 2001-05 Rs. 121.00 Crores, 2006-08 Rs. 221.00 Crores and all time high Rs. 350.00 Crores 2009-10 have been expended which is self explanatory how R&B Department is serious for execution of projects. It was only possible by continuous monitoring of the projects and working of R&B Divisions. Sanctioning of Khara Jai Road 22 Kms at the cost of Rs. 39 Cores under CRF. Dunadi Bonjwah Road 27 Kms at the cost of Rs. 5.41 Crores under CRF. Opening of Margan Inshan Road 120 Kms (this will extend to Nowpachi). Bold and historic decisions during my regime a. Sanctioning of Chattroo Singhpora Vaillo Tunnel 4 Kms at an estimated cost of Rs. 400.00 Crores under PPP (Public Private Partnership). Sanctioning of 4 Lane of Jammu and Srinagar National Highway NH 1A under CRF by the Union Ministry of Road Transport and Highways at an estimated cost of Rs. 9377.46 Crores. During financial year 2009-2010 an amount of Rs. 60.00 Crores each for Srinagar and Jammu cities have been expended for improvement and up-gradation of roads which is an all time high. For improvement of major District and Town roads and other parts of Jammu and Kashmir Divisions all time high of Rs. 120 Crores, (60 Crore for each division) has been expended. R&B Department has been successful in persuading the BRO authorities for site shifting of the Chattroo Singhpora Vaillo Tunnel and the necessity of Chattergala Bani Basohli Tunnel. Two more Tunnels viz Razdan Pass and Zojila Pass had approved to connect the two sensitive areas of J&K i.e. Gurez and Ladakh respectively. 60 Jhula bridges/ropeway projects for which DPRs have been prepared by replacing the obsolete cradle boxes over the river Chenab and its tributaries. The road at Raghunath Bazzar dug up for sewerage purpose was macadamized within 24 Hours of Dusshera procession making day and night progress. .
Mr. Duni Chand Sharma (MA,B.ED) son of Pt. Raghu NathDass Sharma is a resident of village Behra Bhata,Kishtwar.D.C.Sharma retired as principal DIET Kishtwaron 31st March,1990.He graduated from Amar Singh Degree College Srinagar in 1953after his early schooling in High school Kishtwar.He did his B.ED. 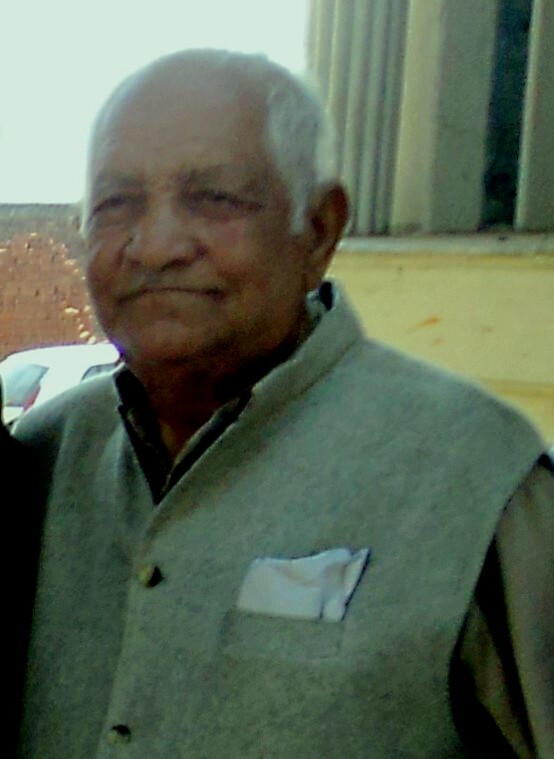 from University of jammu in 1956and MA in history from Punjab University in 1959.He Joined Education Department as a teacher in 1953 and worked in different capacities till his retirement.He served as Senior Teacher,Head Master,District Education Officer and Pricipal Higher Secondary School and ultimately retired as principal District institute of Education and Trainings. 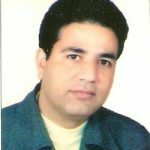 D.C Sharma is a keen student of History.He has authored History and Culture of Kishtwar in English which was published in 1995,and Glimpes of Kishtwar History published in 2008.He is man of virtues and is loved and respected widely as a renowned teacher. D.C Sharma has been honoured with memento by SDM Kishtwar on the independence Day in 2002, with a shawal and Certificate of Merit By Prof.Nirmohi Chief organiser Jammu Itihas Avam Sanskriti Sangam on 2003. Wali Mohmad Aseer Kishtwari was born to Kh. Ghulam Qadir Batt Berwari at village Berwar on 2nd of August 1954. 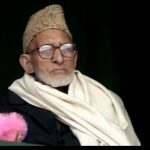 The Khwaja Sahib himself is a veteran poet and a good singer. Wali Mohmad passed the Middle and Higher Secondary Elective examinations with good marks from Islamaia Faridia School, Kishtwar and M.L. Higher Secondary School Kishtwar. He passed his B.A. examination from Govt. Degree College, Bhaderwah in 1974. 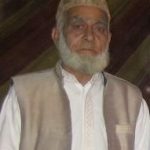 He worked as teacher in Islamia Faridia High School, Kishtwar, from June 1974 to August 1978. On his professional performance and natural capability he was appointed on the important post of Distt. Treasury Officer Doda. He also functioned as Chief Accounts Officer, District Fund Office, Doda, from 1986 to 1985. After performing his duties nicely for about eleven years he was transferred to State Sports Council. He was soon shifted to Additional Treasury Talab Tillo, Jammu and then to Additional Treasury Old Sectt. Jammu. In April 1999 he was posted as Deputy Director Accounts and Treasuries Jammu.He is serving as Director General of Accounts. 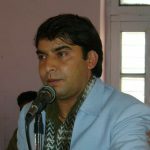 During his educational career Wali Mohmad Aseer took keen interest in participating in cultural programms, discussions, writing competitions and other cultural activities of schools and the College. By studying Urdu literature in depth, he developed interest in poetry and literature. The company of local organizations, writers, poets and artists sharpened his thinking and literary aptitude. Poetry was his hereditary right. Slowly he was attracted to prose writing, research and literary criticism. 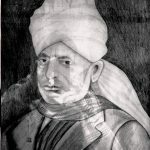 The conducive literary atmosphere of Doda promoted him to compile the Kashmiri works of his illustrious father, which he published under the title Changi Reh (The flame of the lamp). Per chance Faridiya Bazm-e-Adab, Doda had been established on the insistence of Mohd. Ishaq Zargar. It has been christened with the venerable name of Hazrat Shah Farid-ud-Din Baghdadi. It was an important occasions of 1986. Mr. Aseer also regularly attended its various activities at district level. This organization started a series of holding poetic symposia and publications at local, state and national levels. Under this programmed memorable poetic symposia were held on National Integration at All India level, in far flung District Doda in 1986, 1987, 1988, and 1989, attended by eminent poets from the state and country. The sweet memories of these unforgettable poetic symposia will stay in our minds for a long. Along with other members of the Bazm, Mr. Aseer did not leave any stone unturned in making these poetic symposia a grand success. Despite uncongenial circumstances, the Door Darshan, Srinagar and Radio Kashmir Jammu and Srinagar, gave appropriate publicity to these poetic symposia. She is the daughter of pride of Kishtwar the Late Ghulam Nabi Doolwal Janbaz Kishtwari and the successor to Chalant.Jahan Ara did her Master’s Degree in Mass Communication.At present she is a teacher in education department .Jahan Ara was visible from her childhood her literary identity began from september 1987 in Russia.Where the festival of India was held in which she took part on behalf of Govt.Women’s college Srinagar.After returning from Russia she was introduced to Radio and Television.Her voice stirred the whole of Jammu and Kashmir.Her participation in Jashn-e-Baharan of Radio Kashmir,added to her popularity The state cultural Academy prepared a special cessette of her Kashmiri songs.Jahan Ara also worked as playback singer in the documentary film on Doolwal Kishtwari and english picture of Muzaffer Ali,Zooni Habba Khatoon. 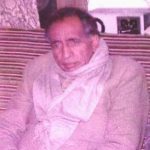 Shri Som Nath Sharma was born at Kishtwar in the year 1938.He passed his Matriculation in the year 1954 in first division and was appointed as teacher in J&K Education Department in the year 1955.He passed B.ED in 1961 and M.A in 1965. Due to his good performance as English teacher in Higher Secondary School Kishtwar,he was deputed by Education Department for undergoing Major Diploma Course in Teaching of Regional Institute Of English Chandigarh during the year 1973 where from he is a merit holder. From 1978-1982 he acted as Resourse Person in District Institute of Education and training Kishtwar and organized a number of orientation courses for English teachers. From 1982-1994,he worked as Field Officer in various capacities like Tehsil Education Officer,Zonal Education Officer. Shri Chaman Lal Gupta s/o Late Lala Daulat Ram Gupta who has served 35 years in education department in all parts of kishtwar tehsil. 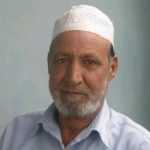 His education qualification is B.E.C from Teacher Training School in 1945 and Degree in urdu from Aligarh university. 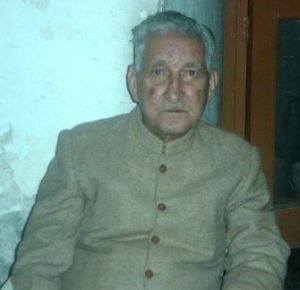 He was appointed as a teacher in 1947 at primary school sangaldan(udhampur district) and after that he served as a drawing teacher in various places of kishtwar tehsil like Padder,Marwa,Palmar,Sarthal,Tharthi and then retired from DIET(District Institute of Education Kishtwar) in 1981. 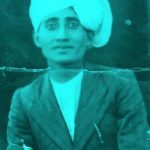 During his service he played a great role in both education as well as cultural activities and paintings.Even today he is also known in Kishtwar as Master Chaman Lal Gupta. He hails from District Kishtwar …. Began his journey through life by being pampered and nurtured in a disciplined way, which made him learn much of his punctuality and etiquettes of life. At an early age MASOOD MUNTAZAR moved towards domain of acting and meanwhile he found his true calling in life. His whole life, he felt a strong connection with the attributes and elements of acting and film making. In this direction, he was recognized in his life many times. One of his proudest accomplishments was when he received DD NATIONAL AWARD for Morning Show and state award for SAMAPA Developmental Song “WATHIV BADLIV PANUN TAQDEER “for VIDEO DIRECTION. He has also received BEST ACTOR AWARD by J&K Academy of Art Culture and Languages, JAM Group, YUYA Artist Association and Information Department (Cultural Wing).He has also bagged Best Documentary Award by Gandhain philosophy of India for “KIRAN KIRAN UJALA”. He reflects a varied personality including ambition and qualities of generosity and thoughtfulness. A well determined and vigorous individual, yet pleasantly calm. From the very beginning, he was holding definitive goal of becoming renowned and professional Actor. Though his passion for performing, he has embraced a fanatical image in acting, direction and film making, empanelled in “A” Category. More than 115 documentaries on personalities & Shrines of Chinab valley, 37 drama serials, 10 Docu- drama series, 90 musical programs and more than 1100 talk shows with eminent personalities of India including Pakistan and Sri Lanka are to his credit. 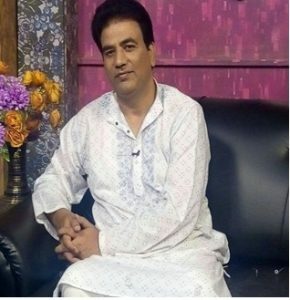 He has worked as NEWS AND PROGRAMME HEAD for ZEE KASHMIR for more than five years. He is active in the field of journalism to drive the professional satisfaction. 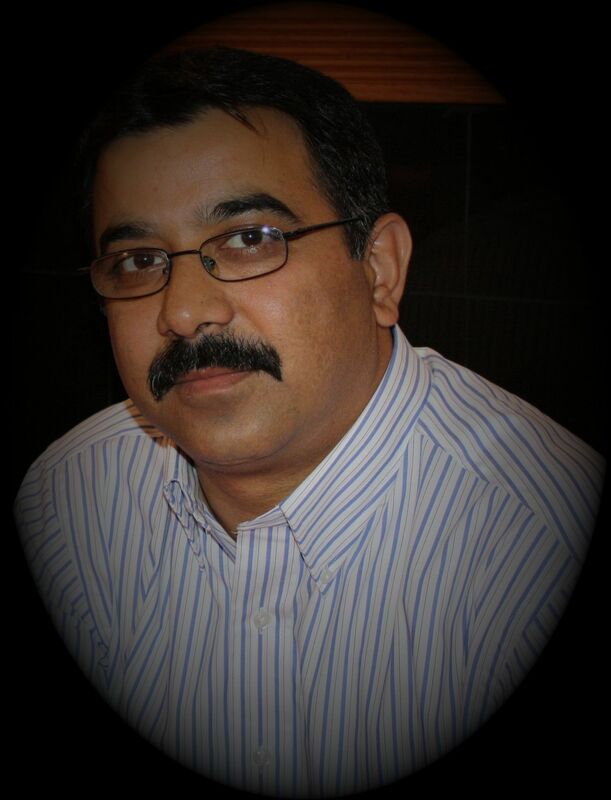 Presently, he is Owner and Editor in chief of two weeklies KASHMIR RECORDER (English) & TAZA TAREEN in Urdu. He is also empanelled for Documentaries and Talk shows with BBC WORLD TRUST. Masood Muntazar holds genuine desire to serve his society and craves moral purpose and social solidarity. He is rendering great services by serving poor, needy and destitute people through his NGO’s…..Al-Qadr (An initiative for preservation and promotion of Art, Culture & Languages of J&K) and V-CARE (An initiative of research, care & development of needy people). But sky is not the limit for him; he is still interested and involved in keeping and representing our Culture through his acting skills, anchoring, documentaries and drama serials etiquettes, journalistic ethics and as a role model creating avenues for young individuals who can foster the establishment and development of their talent that can ultimately benefit our society. Pictures of Some Famous Personalities of Kishtwar.